Frank has worked in Peacock Yard since the 1980’s and enjoys working in his modest space at no.12. Frank and his textile artist wife Rachel Scott have the creative energy and productivity of people in their twenties and together make a formidable and inspiring team. 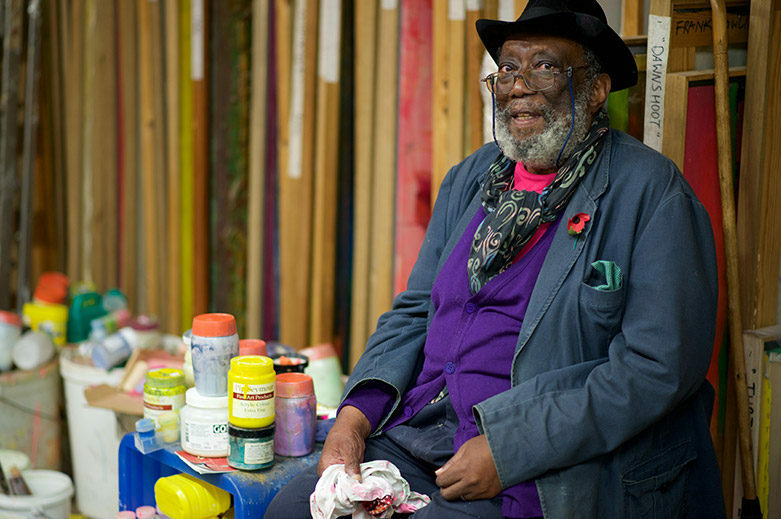 Bowling began his career at the Royal College of Art after moving from his native British Guyana to London in 1953. During his time at the RCA, he studied alongside David Hockney and Peter Blake and became involved in the British Pop Movement of the 1950’s and 1960’s. Aided by a Guggenheim Fellowship, Bowling moved to New York in 1966. 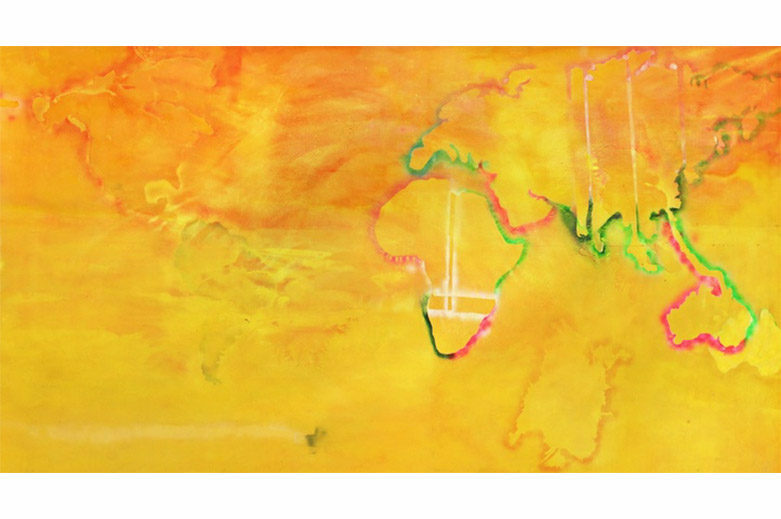 It was during these formative American years that the artist produced his celebrated Map Paintings. 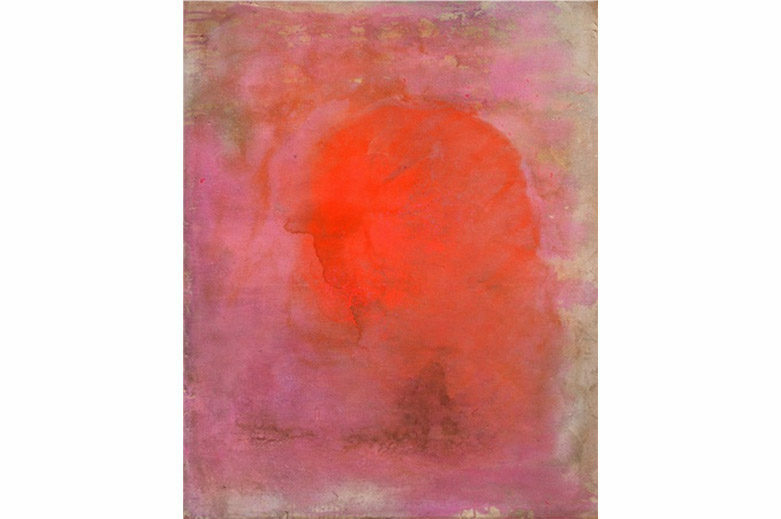 These quasi abstract works were emblematic of the artist’s shift from figuration to a distinctly new, abstract territory. Having achieved recognition later in his life in the form of Royal Academy membership 2005, an OBE in 2008, the publication of a Royal Academy Monograph in 2011 and a solo display at Tate Britain in 2012, Frank now enjoys representation by a British gallery based in Shoreditch. 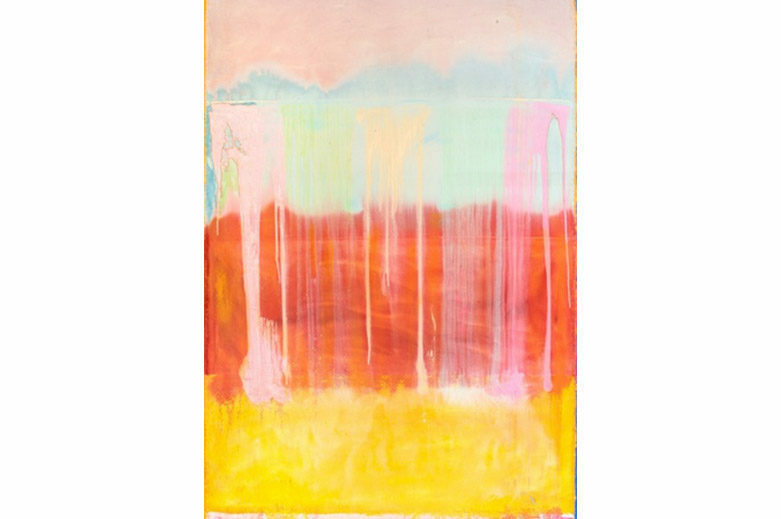 Frank’s dealer feels that although Frank has a stunning historical body of work that is now more relevant to contemporary painting in 2015 than ever. He is also producing some of his best work now in his eighties.